Find out more about this trend that has been brewing- tea! While coffee shops have, over the past few years, been in the spotlight, tea rooms have started to gain some attention. South African are catching on to this global trend of tea drinking! Businesses that offer the perfect cup of tea come in different shapes and sizes. Some tea rooms focus on the tea while others focus on the perfect edible accompaniment. 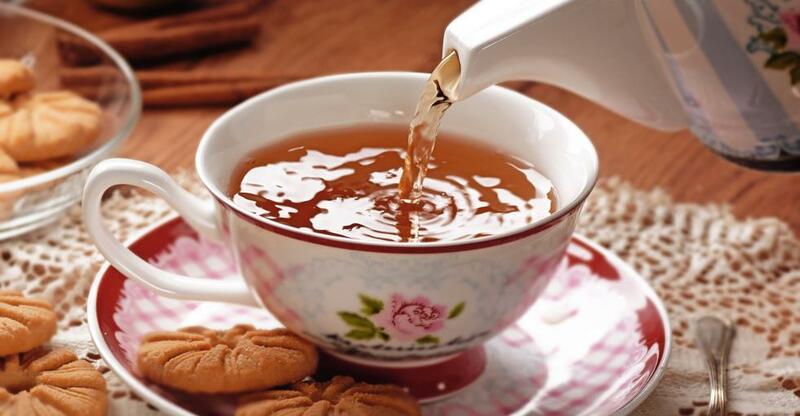 We are all familiar with the basic teas such as breakfast and rooibos. However, there are a growing number of people that are taking it more seriously than that. In order to cater to this growing love of tea, tea rooms have begun to diversify their menus. The options available to you if you go to many new trendy teapots around the country are extensive. You can now choose between the origin of the tea, the flavour of the tea and much more. Establishments are also becoming creative in the way that the tea is served. From elaborate glass pots to eclectic vintage china, tea rooms in South Africa have found their own unique ways to serve this beloved hot drink. Generating excitement and beauty around the serving of the tea helps to create an experience for patrons. There are many tea aficionados that are drawn to tea rooms that are able to offer this. Drinking tea is often done best with a bit of pomp and circumstance. Offering this to your customers will keep them coming back for more. Many of the most successful tea rooms in South Africa offer a traditional British afternoon tea to their customers. Even if you don’t choose to stick with the traditional afternoon tea, serving some kind of light meal is usually a good idea. When it comes to tea, most customers will want to be sure that what they are drinking comes from an ethical source. There are tea estates across the globe where workers are found to be living and working in dangerous and degrading conditions. There have been international attempts for tea distributors and companies to pay more attention to where they source their tea from. You can appeal to your customers by being transparent about where the tea you stock has come from. Most of all, customers at a tea room are looking for a relaxing environment. While coffee tends to go along with the hustle and bustle of modern living, tea has a far gentler culture surrounding it. Tea, of course, is drunk across the world. There are a lot of places besides Britain from which you can draw inspiration. China, India and Japan all have their own versions of tea rooms. Before you open a tea room, research different tea rooms around the world and find a way of making your own unique place. This will help you narrow down the perfect business to buy! Matthew Hernon is an Account Manager at Dynamis looking after Business Transfer Agents and Franchises across BusinessesForSale.com and FranchiseSales.com.